10 Things You Didn't Know About Scrap Metal Recycling | Smart Recycling Inc.
You may have recycled scrap metal as a hobby when you were a child and probably haven’t thought twice about it ever since. But scrap metal recycling is actually more than a thing of the past. It is a great way to give back and help save the environment we live in. You could even make some extra cash! Here are 10 interesting things that may cause you to change your mind about throwing away your scrap metal. It’s a common fact that you can earn money by collecting and selling your scrap metal to various local businesses and junkyards. However, scrap metal recycling impacts people’s economic situations on a much larger scale. The scrap metal industry has generated over 500,000 direct and indirect jobs since 2015. It’s estimated to be a $36 billion dollar industry with increasing opportunities for the community. One of the best things about scrap metal recycling is it’s easy. You don’t have to search high and low to participate and reap the benefits. You can find recyclable metals in your everyday items, such as aluminum cans, steel cans, silverware, office desks and chairs, pots and pans, electrical appliances and even zippers. There are two different types of metals amongst the recyclables you’ll be collecting: ferrous and non-ferrous. All you need is a magnet to test each metal. There can be a very valuable and expensive difference between some of the metals you’ll test within the two groups. Ferrous metals, such as iron, nickel, and cobalt, will stick to the magnet. Non-ferrous metals, such as aluminum, lead, copper, and gold, will not stick. Ferrous metals tend to be more valuable and are easily distinguishable in most cases. Testing the metals could be a really fun experiment to do with the kids before handing in the metals. Metal is a common material used in the field of innovation and design. Saving old scrap metal can help produce parts for different means of transportation, including bikes and cars. Vehicles used with scrap metals are just as good as any and take a less expensive toll on the environment! Carbon dioxide in its gas form cuts off the oxygen breathing. Being exposed to a concentration of more than 10% of Co2 can cause unconsciousness or even death. Choosing to recycle is beneficial for the environment in regards to issues and concerns about increasing levels of greenhouse gases and theories on global warming. Scrap metal recycling has been linked to reducing Co2 emissions that are created from unnatural human activities, such as cars and factories. The innovation and creativity don’t just stop at methods of transportation. Artists are able to use recycled scrap metal to create beautiful works of art that you can purchase to decorate your home, workspace or simply to admire. Support others while saving the environment. Greenhouse gases are usually produced during smelting, mining and during the process used to make metal from virgin ore. Recycling scrap metals can greatly reduce the amount of energy used in these activities. Three of the most common metals are responsible for increasing energy savings by large percentiles are steel (56%), copper (90%) and aluminum (92%). We spoke about conserving energy, now let’s look at some more numbers on how those natural resources make up all of that saved energy. If you recycle one ton of steel it can conserve 2,500 pounds of iron ore, 1,400 pounds of coal and 120 pounds of limestone. These materials are used for steel production and all go through processes that include smelting and mining. Recycling steel can reduce the necessity for the frequency of these activities to occur, reducing unnecessary toxic gases emitted into the atmosphere. If just a fraction of the population recycled steel then we could conserve enough energy to power millions of houses. Another way that recycling scrap metal can conserve energy is through the process of reusing the metals. Metals like aluminum can be melted at much lower temperatures than other metals. This can help to conserve energy, as well as reduce excess gas emissions. Did we mention you could help save the planet? Scrap metal recycling helps to create more space in landfill areas. These open spaces can now be used to store more trash and junk that are not able to be recycled or re-purposed. Creating and utilizing the extra free space for non-reusable waste could potentially lead to beneficial changes in the water supply and in the environment overall (less litter). It could also make the neighborhoods we live in much more beautiful! Recycling has always been proven to result in advantages for the community. The processes that are used for mining and other factory and mechanical-production-heavy activities fill the environment with many hazards, including groundwater pollution, poisonous runoff and habitat destruction. It can also cause our geological state to become unstable. 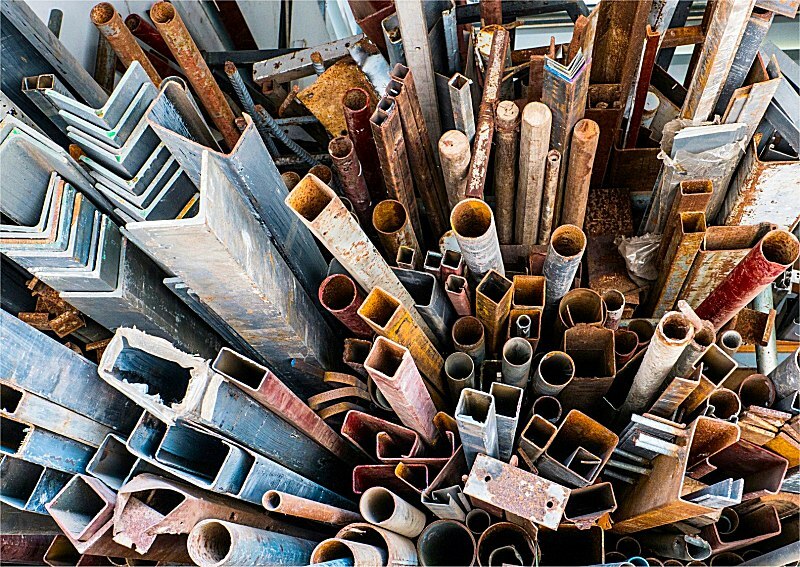 Recycling scrap metals can help you earn extra cash or even start a career. Reusing old metals can be the bridge to an artist, creating an amazing piece of work out of something undesired. If you’re considering utilizing more of your time to recycle scrap metals but have questions on the most environmentally friendly procedures then take a look here for some more information and answers. Or if you’re ready to jump right into the lifestyle and you’re looking for an experienced company who specializes in scrap metal services and large collections and customized bins in Southern California, don’t hesitate to call us today!